Guatemala, the first stop on my Central American tour, is a country blessed with both a rich culture and superb nature. It is a country with a difficult past marked by violent oppression dating back to the Spanish conquistadores, right up to the civil war that blighted much of the second half of the 20th century. Since 1996, the country has seen peace and stability and is gaining a deserved reputation as an exciting destination for more adventurous travellers. 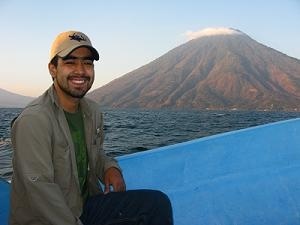 For those interested in history, culture and nature the reasons to visit Guatemala are compelling. The country is at the epicentre of the Mayan world, with countless sites to explore, each with their own history. Mayan traditions remain strong to this day especially in the highland regions where Mayan people make up the majority of the population. For nature lovers, the country's unique geography gives rise to fourteen separate habitats (that's six more than Costa Rica) ranging from coastal regions to cloud forests and supporting an incredible diversity of species. The country is ranked eighth on the world for biodiversity and is surely destined to become a future star of nature tourism in the region. My visit took me first to Tikal, the largest and most impressive of all the Mayan sites in Guatemala - and arguably the entire region. Situated in the north-east of the country and accessible either from the capital or from Belize, Tikal was a vast Mayan city and remained at the centre of Mayan civilisation for almost 1000 years. The sheer size of the temples is overwhelming, something that you cannot quite appreciate until you are standing next to them. The surrounding jungle - which consumed the city after its demise - adds a mysterious, almost mystical quality. It is possible to climb the tallest pyramid - standing at 44 metres tall - offering spectacular views over the city and jungle. My first day in Guatemala and I was, quite simply awe-struck. The site is also renowned as a bird watching mecca and is home to the region's most iconic animal, the jaguar. 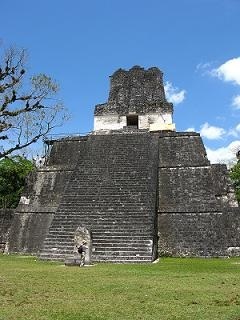 Tikal has been designated a UNESCO World Heritage site for its historical significance. My adventure then took me to Antigua, the original Spanish capital before it was abandoned in favour of the current, Guatemala City. This beautiful city, ringed by volcanoes, is steeped in colonial history and is another UNESCO heritage site. Historic buildings and monuments, all built in the colonial style line every cobbled street, while relics and artefacts from the early Spanish rule abound. A tour of this city is like stepping back in time and is a must for any visit to Guatemala. The final stop on my brief tour was Lago de Atilan, a lake formed after a huge eruption around 85,000 years ago. It is possible to dive in the lake, where there is a lost Mayan city to explore, but I was not able to during my short time here. Instead, a tough but rewarding trek up San Pedro - one of the three volcanoes surrounding the lake - provided stunning views of the area. The upper reaches of the volcano are home to the Horned Guan, a bird species found only in small highland areas of Guatemala and southern Mexico. Their habitat is so small only 1000 birds are though to exist, with around 50 on this volcano. While we were not lucky enough to see one, the view from the top was more than enough reward. Next is Belize to dive the barrier reef, explore the Mayan site of Lamanai and hopefully, to dive with the whale sharks that gather here around full moon. Looking to follow in Phil's footsteps? Contact a member of the Dive Team to discuss your options.